I have been questioned Several times by people about How to lose weight. questions related to weight issues. so i decided to post my opinions on possible and safe ways of losing weight. 1. Remember you have to be patient. you can't lose your extra pounds in days. you need a couple of months to feel the change. It is better to wait for couple of months to get permanent happiness. 2. safest and fastest natural way of losing fats is doing aerobics. In aerobic exercises body uses both glucose and fats for energy production while in anaerobic exercises (e.g body building, heavy workouts ) only glucose is used as major nutrient by the body that is why during anaerobic exercises muscles get fatigued in comparatively lesser time. Body building (anaerobic) workouts are done for gaining muscle mass. Although well-developed muscles use greater amount of fat for energy production during rest, thats why body builders have well toned, ripped and cut body. but only well-developed muscles do that. 3. Along with aerobic exercise you have to check your diet. Don't starve yourself, it is annoying. Eat low calorie diet. here is a useful list of low calorie diet. Low calorie diet eradicates the annoying and unpleasant feeling of hunger, but as this diet will provide you insufficient calories to carry on daily activities. the remaining calories will be obtained from burning of fats. and you will lose your weight. 4. sometimes person's fat content is normal but he has a tendency to retain water and he has extra pounds due to water weight. 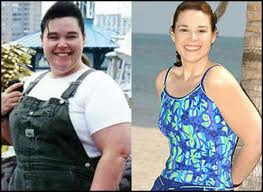 i have posted a separate article on this topic (click here to go to the article ( water retention | lose water weight ). 5. Drugs for weight loss won't work well if you won't maintain a proper low-calorie diet. Be active and eat healthy, these are the safest ways of losing weight having all beneficial effects. In your article the tips for giving shape to body which is very useful. Means your all fact effective and simple. Nice article. Thank you very much, sharing this with us. it is a really worth reading.The low calorie diet chart is good one and well appreciated by most of us.